Jacob's Bar & Kjøkken Wine List Updated for March 2010 – 5 Unsulfured wines added! Here’s the latest update. Even though I practically eliminated my entire Champagne selection, this month I have added a new Champagne. Drappier’s Brut Nature is organic and made without the addition of sulfur dioxide. This isn’t the only sans soufre wine added this month! 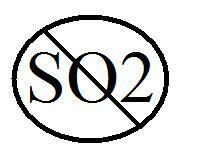 4 more un-sulfured wines were added (for a total of 5) and one that has no detectable sulfur! The most stunning Beaujolais Nouveau I have ever tasted also arrived at Jacob’s yesterday! Crêt de Ruyère/Cathy & Jean-Luc Gauthier (with Jean-Marc Brignot) “biojô nuovo ;-)” Beaujolais-Villages Nouveau 2009 – No detectable sulfur! – Burgundy, France – A stunning Beaujolais Nouveau like only Jean-Marc Brignot can bottle!! 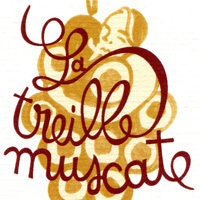 Click on the Treille Muscate Label below to check out the latest wine list! Jacob's Bar & Kjøkken Wine List Updated for February 2010 – With Photo! Here it is! The latest wine list updated for February. Remember, I’m not just adding titles to an ever-growing wine list. Very often for every title I add, one has disappeared from the list. Since last fall, I have reduced the list by about 20 titles. I try to keep my list dynamic so that my guests (and I) don’t get bored! As I have mentioned in a past entry, I am reducing the number of Champagne titles on my list and increasing the number of sparkling wines. I feel that there are so many interesting sparkling wines available at competitive prices and from interesting wine areas. I have added one sparkling wine to my list in February and I expect to add 3 or 4 more titles next month depending on availability. Click here to see the wine list in its entirety! January in Norway is typically a slow month which also means that not many new titles have been added to the wine list this month. Check back next month for some exciting wines arriving! 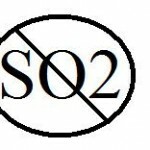 Jacob's Bar & Kjøkken Wine List Updated for December – Unsulfured Wines Rule! I have uploaded the November updated wine list which can now be viewed here. I have uploaded the October updated wine list which can now be viewed here.